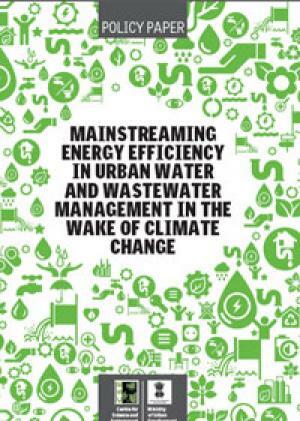 Conventional water and wastewater management in urban areas is infrastructure-intensive, requiring energy intensive extraction, storage, distribution, collection and conveyance systems. Due to rapid and un-regulated urbanization, cities are looking for new water sources or sites for setting up sewage treatment plants, which may be further away from existing sources or sites. Most of the transmission and distribution pipelines are very old, and many of them are corroded and leaking, resulting in increased water losses and inadequate water quality. In developing countries, one-third to a half of the pumped water is lost to leakages. In India, the numbers reside on the higher end, with an average leakage loss ratio of 40–50 percent in large metropolitan cities, and 50–60 percent in smaller cities. In most Indian cities, wastewater collection networks either don’t exist or are not properly designed to serve the purpose of collection and conveyance for treatment and disposal. Urban water economics adds to the crisis, water in India is highly subsidized due to which it is not considered a valuable resource. Municipalities juggle to recover not only what they have supplied, but also what they have not supplied. This is just a part of the overall calculations. Another part involves not water, but the waste that the used water will create. Utility will have to price the cost of taking back the waste. Since more water used means more waste generated, conveying and then treating this waste will cost more. As per Centre for Science and Environment (CSE), it is estimated that two-thirds of the water supplied by the Delhi Jal Board is never paid for. The quantum of non-revenue water (NRW) has been going upfrom about 53 per cent in 2002–03 to 56 percent in 2006–07.2 The cost of water currently lost to leaks in India can cover the water demand growth expected in the next few years, thus diminishing short falls so that investments in infrastructure could be postponed, and stretching limited water and energy resources. Unfortunately, most new water supply and sewage treatment projects are sanctioned as infrastructure projects without giving much importance to the energy needs of their operations. Figure 1: Conventional water and wastewater management by utilities illustrates the major steps involved in providing citizens basic water and wastewater services, each of which requires a significant and quantifiable amountof energy for pumping (conveyance) and treatment. The relative energy importance of the different steps depends on factors like the topography between the water source and its destination (especially elevation change), distance from the bulk water supply, integrity of the primary mains (supply pipes), and secondary mains (distribution pipes), distance from the sewage treatment plant and site of disposal or reuse.